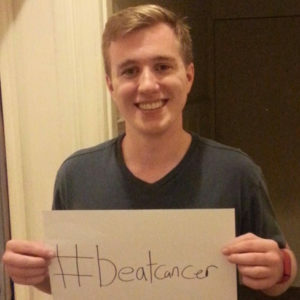 My name is James Willett and I was diagnosed with Stage-4 Lymphoma thirteen years ago when I was ten years old. I had intensive chemotherapy treatments throughout the summer and was confined to the hospital through most of my time. However I had friends and family who visited me and kept me company, making sure I had plenty of players for our video games. Although I had many downs with my cancer, it has shaped my life to be more loving, positive, and encouraging and I’ll never forget it. My goal is to use my experience to encourage those in similar straits that there is a way past it.